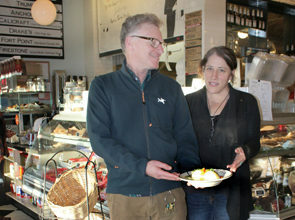 Foodstamped: Berkeley couple takes up the challenge: $50 food budget for one week – J.
Shira and Yoav Potash consider themselves “eco-kashrut,” a practice and philosophy that finds the Berkeley couple shopping for organic, local produce, and grass-fed, free-range, hormone-free, sustainably raised poultry and beef. But when the couple committed to trying the “food stamp challenge” for one week, meat was the first thing they eliminated from their shopping list. The challenge is a charge to people not relying on government-issued food stamps to eat for one week only what they could afford if they actually received the federal subsidy. The food stamp challenge garnered publicity in 2007 when the governor of Oregon and members of Congress participated in the experiment. For Shira and Yoav, the food stamp challenge allowed each a budget of about $3.50 a day, or $50 total, for one week. 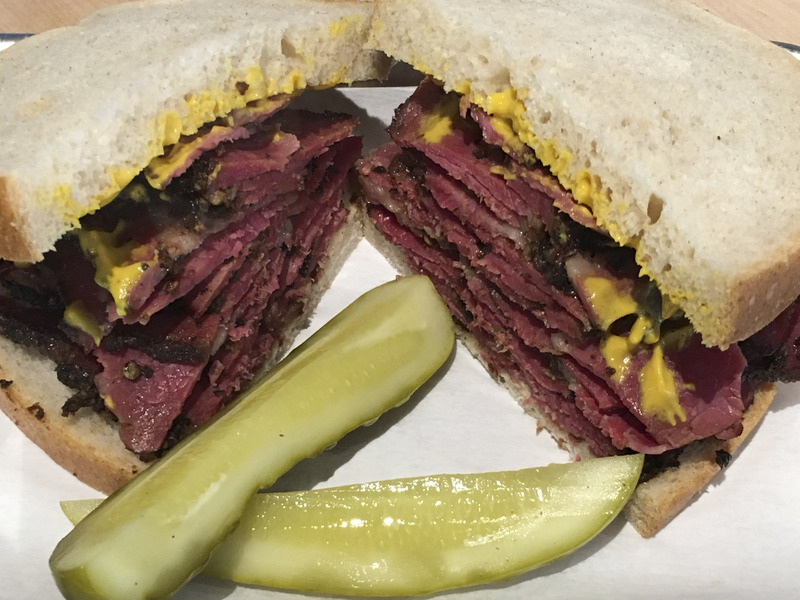 As a result, “We couldn’t afford to buy the meat we feel comfortable eating,” Shira said. The couple chronicled their “food stamp diet” and the result is “Foodstamped,” a documentary that will be screened 8 p.m. June 20 at the JCC of the East Bay in Berkeley, with another screening June 28. Shira teaches nutrition and cooking classes in the Hayward Unified School District. When she heard about the challenge, “I started thinking: Here I am, trying to teach kids who are eligible for food stamps how to cook, but how am I supposed to know what they can afford to cook? In March of this year, 33.2 million low-income Americans received food stamps, an all-time record high, according to the U.S. Department of Agriculture. Shira wondered: Could a person live on food stamps for one week and still eat nutritious meals? After taking up the challenge in February 2008, they accumulated 75 hours of footage. The documentary they thought would be 10 minutes is now an hourlong film they hope will be broadcast on PBS. Yoav, who admits he has a big appetite, initially was wary of living on a food-stamp budget. Shira promised to take care of the shopping and cooking, and also agreed to treat Yoav to a big brunch (at Rick and Anne’s in Berkeley) a day before their journey began. They started by making a shopping list of economical, healthy foods from a range of food groups, such as dried beans, lentils, oats, eggs, fruits and vegetables. With a calculator and video camera in tow, they walked around Berkeley Bowl and bought $48.82 worth of food. They saved the remaining $1.18 for Shabbat. The couple turned in their bottles and cans at a redemption center for an additional 82 cents. But the $2 wasn’t quite enough to purchase a loaf of bread for Shabbat. Shira Potash teaches cooking and nutrition to students in the Hayward public schools. After embarking on the challenge, they interviewed dozens of people for the film: People actually living on food stamps, people applying for food stamps for the first time, people who work at food banks and in food policy in the California legislature. They even had a nutritionist grade the meals they ate during the week. As Shira predicted, making “Foodstamped” has helped her design more appropriate lessons and recipes for her students. And she now includes a priced-out shopping list with all the recipes she sends home to students. An unlikely outcome: The filmmaking process has also brought them closer together as a couple. “It’s been really special that Yoav and I can do something like this where the two of our professions can come together,” Shira said. The result of their legwork and late-night editing sessions is a film that’s both educational and entertaining — the husband-and-wife filmmakers wanted viewers to laugh and learn from their project. “Foodstamped” screens 8 p.m. June 20 and 7 p.m. June 28 at the JCC of the East Bay, 1414 Walnut St., Berkeley. The filmmakers will take questions following the movie. $10 admission. For more information, see www.foodstamped.com.